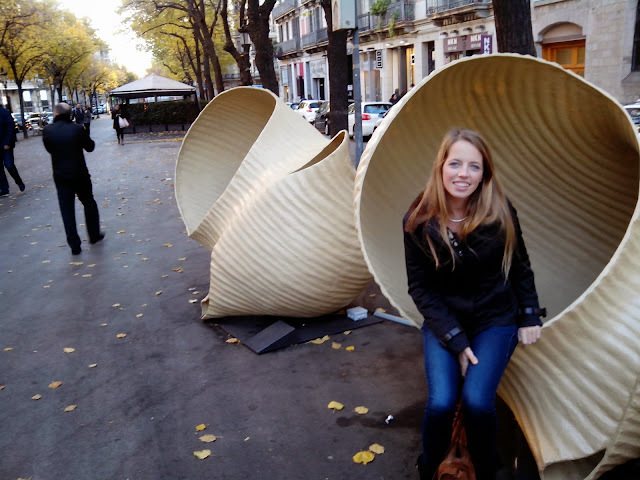 Every year for Christmas, the streets of Barcelona are invaded by huge pasta shells called 'galets'. Last weekend I saw them by the first time of the year, and they made me realice that I have to hurry up with my Christmas shopping! but you ar eprobably wandering why would they put pasta shells as a Christmas ornament? The reason of that is that this kind of pasta is used in one of the most typical Christmas recipes here in Catalonia, the galets soup! 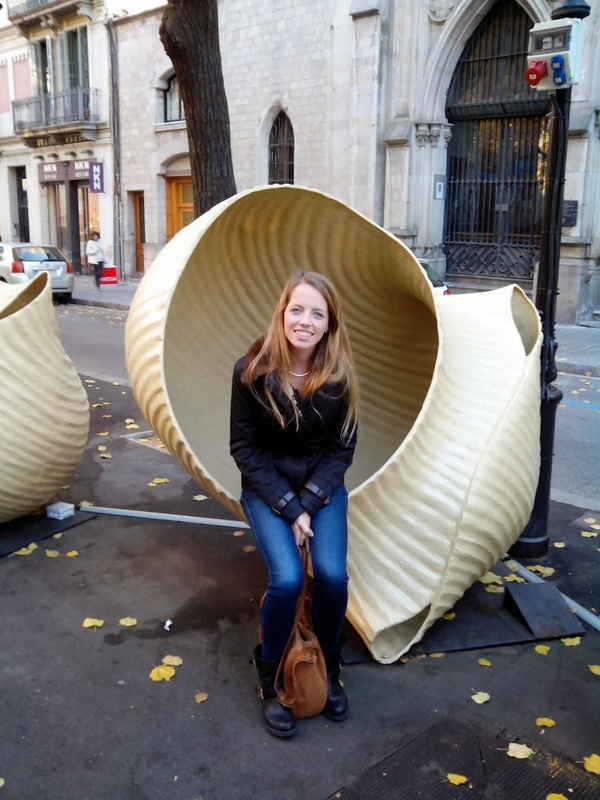 So don't be suprised if during this month, while you're walking around the city, you see some of this huge galets, it's not that we are obssesed with pasta, it's just an original way that we have to celebrate that Christmas is almost here!!!! During the night they use them as lamps, it actually looks really pretty with all the Cristmas lights! That is very cool, it looks gorgeous there! Sure we can follow each other, I just followed you so it would be great if you could follow me back :) Thanks so much! Cool background and your look is perfect for colder days! 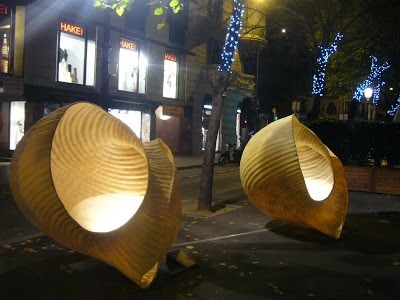 I thinks its pretty amazing idea and even more beautiful at night with those lights on! You're so lucky to see them. Wish one of this days to be there too. Hi dear! Thanks for your support, I'm following you back! Your blog is great and the pictures you're taking are fantastic! What advise I can offer is keep it up, what you are doing, remain consistent and network and engage as much with other bloggers, visiting their blogs and commenting.